VAST awards two $1,500 scholarships annually. NOMINATIONS ARE DUE MARCH 1, 2019. It is the intent of this program to provide financial assistance to deserving applicants who are seeking higher education. The applicant must be pursuing higher education beyond the secondary level at a College, University or Vocational/Technical School. They must be a member of the association and/or a spouse or dependent of the member. 1. Each year there will be two scholarship awards made. The Board of Directors shall establish the amount of these awards. 2. The Scholarship and Recognition Committee shall advertise the availability of these awards commencing three months prior to the application deadline. This shall be done in Snowmobile Vermont Magazine. Secondary schools shall be notified of scholarship award availability. a. An official High School or College transcript, whichever applies. b. Recommendations in writing from at least two teachers, counselors or other school administrator. c. Recommendations in writing from one or two friends, employees or member of the clergy. d. Proof of acceptance at a College, University or Vocational/Technical School. The relationship between landowners and snowmobiling in Vermont. Development and maintenance of the Statewide Snowmobile Trails System. Safe, courteous, lawful and responsible use of snowmobiles. Preservation and protection of our environment, as related to snowmobiling. Economic benefit of snowmobiling to Vermont’s economy. 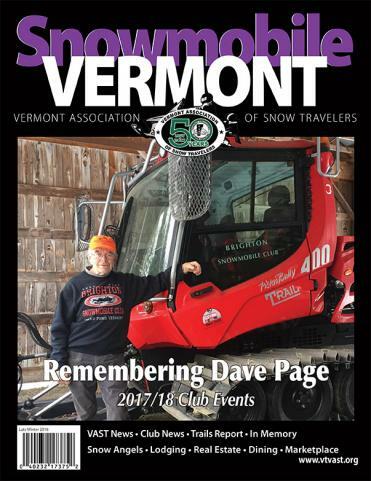 An essay, of their choice, about snowmobiling in Vermont. The Scholarship and Recognition Committee shall establish a process for judging the applications. It shall include at minimum the following criteria: Financial Need, Transcript, Essay, Recommendations, Extra Curricular and Club/Association Involvement. All applications shall be judged in the month of March and the winners will be notified, in writing, within five working days. The applications of the top finalists will be forwarded to the Northeast Chapter of the International Snowmobile Council where they will be considered for further awards. The number of finalists submitted shall be in accordance with the Guidelines of the Northeast Chapter at time of submission. The top finalist will have the opportunity to apply for the C.J. Ramstad Memorial Scholarship through the International Snowmobile Media Council. The winners shall be eligible to receive their awards upon successful completion of their first semester of study. At that time, they must submit a certified copy of their transcript to the VAST office. After review, checks will be forwarded to the recipient’s school for processing.